Hope you don't run like her out from your home. Smiles and Smells never go hand in hand. There could be just one either smile or smell! 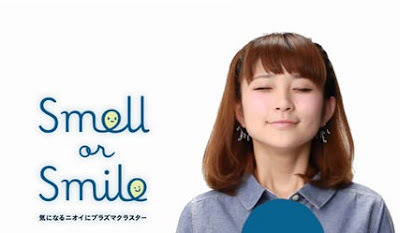 You cannot have a smiling face in a room with pathetically bad odour. No one loves to be in such an environment. Such an ambience serves as a big source of distraction. Trust me smell is a big turn off for everyone. Just like a man is judged by his appearance. A home is judged by the ambiance. It has to smell good. And there are few smells that would make you clip your nose and run out of your home. 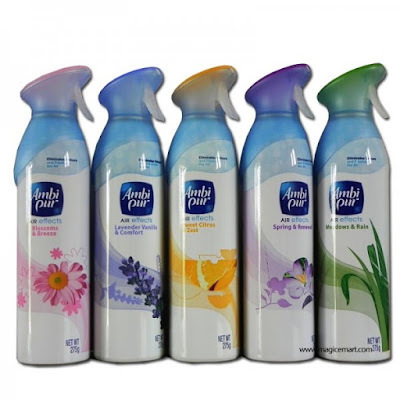 Through this post I will talk about the different kinds of odours that surface through our house! I belong to a family of core non veg eaters. We love fish! Yes, all kinds of fish even dry fish. Don't be surprised if I say we even eat crabs. They are indeed healthy. But the skins and the shells that is left behind has to be disposed off very soon. If you leave those remnants in your dust bin, then your dust bin would go to coma. And if you have to take a revenge on someone , you just need to politely ask the person to open your dust bin. I feed bad about the woman who comes to our apartment to collect the garbage. 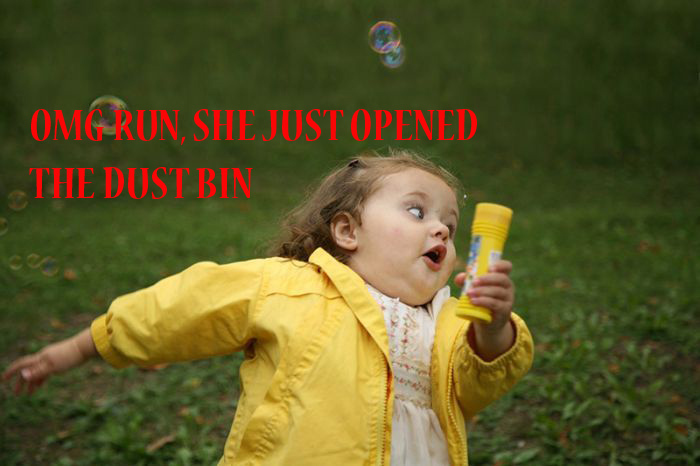 How painful would it be for her to open our dustbin! 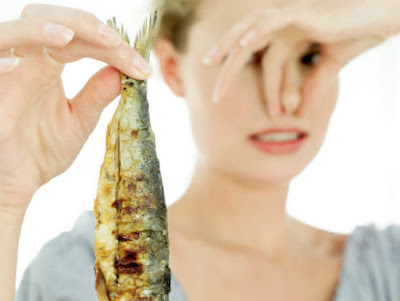 IMAGE SOURCE - Dry fish smells Yuck! And the days when she didn't come , dad would transfer the garbage from the bin to a polythene. That's a very tricky situation for us! No one would touch it! We all would look at each others face and no one would volunteer for this activity and poor dad has to do that chore. And when my dad opens the dust bin, my sister issues an alert - Run, Every one Run! And that would seem like a commando officer asking his soldiers to attack. Spartans, Run, bad smell alert! Even after disposing it, the smell would float in the room. The stale odour would refuse to leave our room . Such is the bad smell that arises from it. And the stinking smell travels through the air and reaches every room as an uninvited guest. Of course people detest uninvited guests these days and these kinds of smells are hated by many people. The smell haunts us, pretty much! Even I dislike it for the same reason. An advise for all non vegetarians here - never try frying dry fish at your home. It causes terrible smell and you will have to clip your nose. To get rid of the stink caused by the fish, meats, chickens and crabs , we use a refreshener or a perfume that never lasts long. Trust me , these days we are spending a lot of money on buying room refresheners and perfumes. This actually gives an opportunity for my younger sister to try different fragrance of perfumes. If she hates it then she would offer it to Mom for it to be used as a smell repellent. That's actually nasty for a perfume to be used as a smell repellant! One day Maasi came to our house as an uninvited guest. She felt a little uncomfortable. She was to stay at our home for a week but she left our house within 2 days citing that she had to meet Mama. But after doing the root cause analysis we realized that it was the bad smell that was the main reason. To get rid of smells caused by food,you need to use a good air refreshener. And there is an old adage that says - if you can't catch the fish, then change the bait. Here we don't have any plans of catching any fish but we got to get rid of the smell it causes. We need to change our methods to keep our house clean. There are many room fresheners available in markets but very few of them are effective. Some would light agarbatti's in their home to produce some nice cool fragrance. Well that's a good idea too but I am not sure how effective it is. Lately we used Ambi Pur and it showed some fruitful results. It's different fragrances are highly impactful. Rainy seasons are loved by many. I know people who wait with baited breath to welcome the rains. Monsoons are the main reason for the foul smelling clothes. That's caused because our clothes never dry up completely due to no sunlight. A partially dried cloth would produce a bad odour. And that's because monsoon are the period when the Sun has gone for a long vacation. Poor thing after working hard for days (not night) for months demands rest. And it changes shift by offering its job to the clouds who shows its displeasure in form of tears (Read Rains). That's when I miss the sun the most. When it rains continuously without any break, it makes life miserable. We tie ropes in our room from one corner to another corner and switch on the fan in high speed so that our cloths could dry up soon. Sadly that also attributes to the soaring electricity bills. Well the main question here is how to get rid of those smells. Its a very difficult question to answer. Also the same applies for winters. 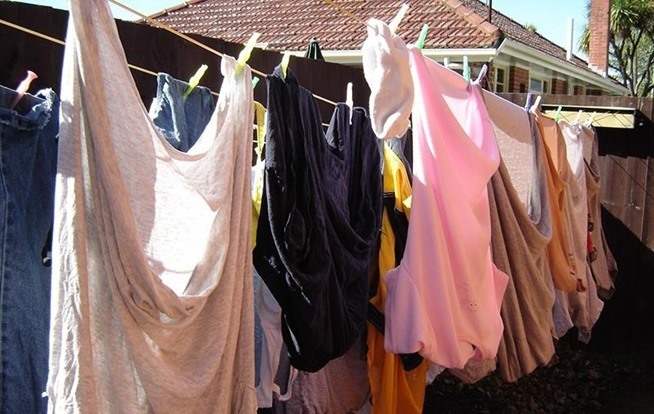 Clothes take too much time to dry up due to partial sunlight! Such issues will crop up every now and then! We use the above approach that I mentioned above. What do you do to tackle wet clothes problem during monsoon? Another peculiar type of smell that arises is from the sink. Sometimes water there clogs and different elements like hair, dirt etc get accumulated there, giving rise to some strange smell. And not to forget the stale smell behind the refrigerator. We have to clean it once every week to prevent it from smelling foul. Cleaning the house is essential. But the phenyl smell sometimes hurts the nose. It is unbearable at times. Also the area near the toilet. If I could say there are many such typical odours that we smell in our home. Stinky socks, shirts smelling bad, perished vegetables and food, unwashed dishes etc are few of them. 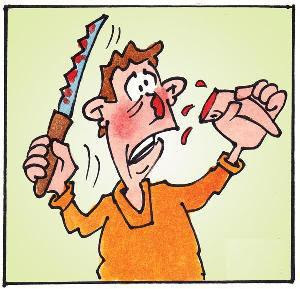 Sometimes you might feel fed up and sometimes even feel like chopping your nose like the guy below. Don't do that. "Ambi Pur doesn't just covers odours, it completely removes them!" Yeah its hard to manage to get along with the stinking people..